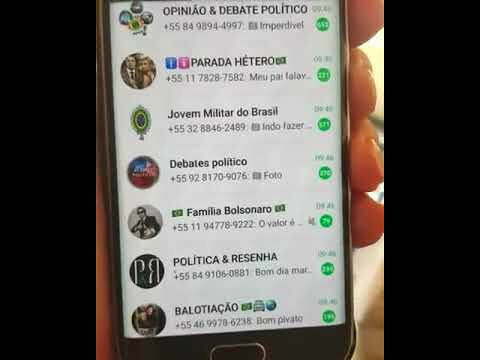 As Brazil’s Jair Bolsonaro has been positively impacted by the unlawful submission of massive attack ads against the Workers’ Party (PT) to millions of people via WhatsApp, the far-right presidential candidate could be disqualified from the race or be removed from office if he runs and gets elected, even if his direct involvement in the activities is not proven true, a law expert said. According to a report published by the newspaper Folha de S. Paulo last Thursday, companies are paying for mass messaging services against left-wing candidate Fernando Haddad’s party and planning a huge messaging operation for the week leading to the runoff vote, which will be held on Oct. 28. The practice is illegal, as it constitutes campaign contributions from private institutions, which is outlawed by Brazil’s electoral law. Daniel Falcão, a lawyer specializing in digital electoral law, said this actions can be considered unlawful campaign spending and the Brazilian authorities could investigate them as abuse of economic power. “Companies are bankrolling something that is illegal. Only candidates, parties, or electoral alliances can boost content, but in this case, these are third parties doing this, and they are not part of the campaign. Not only this, but the sheer amount of money reported could constitute abuse of economic power. This could result in the disqualification of [Bolsonaro’s] ticket, and, if he gets elected, he could be impeached,” the lawer explains. To send hundreds of millions of messages, contracts are worth as high as R$12 million (more than US$3.2 million). One of the companies hiring these services is Havan, owned by Luciano Hang, who has reportedly been forcing his employees to vote for Jair Bolsonaro. Falcão says the law can be interpreted to punish Bolsonaro, even if a direct link between him and the crime committed by the companies is not proven. “There is a controversy over whether it is necessary to prove a link between the candidate’s ticket or advisers and this problem. There are those who argue it is, which means the candidate and his advisers have to provenly know about it. But there are precedents on both sides. There are others who argue that –no, there is no need to prove the link. The fact that it has impacted the elections and clearly benefited one of the candidate is enough to have that candidate punished for that. If there is a link, then it’s even easier to get a conviction,” Falcão explains. The companies exposed by the newspaper are supporting the far-right candidate Jair Bolsonaro and using contact databases sold by digital strategy agencies as well as the presidential hopeful’s own database. The law, however, only allows candidates to use their own lists of contacts provided voluntarily by individuals. An electoral law professor at the Brasília Institute of Public Law, Falcão argues that the consequences ensuing from the report by Folha de S. Paulo may not be immediate. #Caixa2doBolsonaro (“Bolsonaro’s slush fund”) was the top 1 trending topic on Twitter yesterday, as users exposed the business owners’ criminal actions against the PT. The party also stated that the unlawful campaign cannot be tolerated in a democracy and that Brazilian authorities have a duty to make sure the election process is respected.